We wanted VirtualShield to be easy for all users, no matter what device you are on. To achieve this, our design and development team worked tirelessly to ensure a that our user experience was the same across all platforms. As a result, you can achieve many of the same functions in the same exact way, no matter if you're using our iOS app or Google Chrome extension. 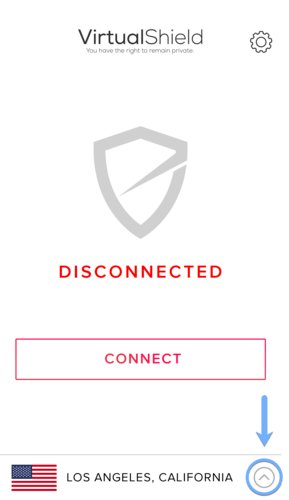 This article will walk you through how to connect to a specific server in the VirtualShield App. Note: The screenshots used are from our iOS application, but the same process applies across all our apps. Open the VirtualShield app or your favourite device. 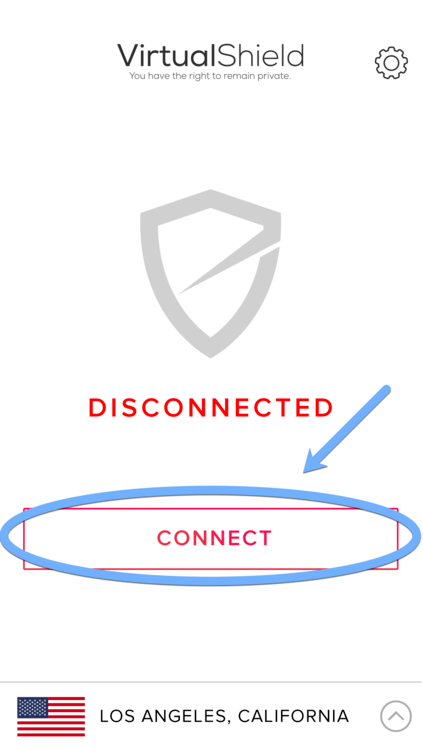 NOTE: If you can't click the arrow, please make sure that you "Disconnect" first, by clicking the Disconnect button. 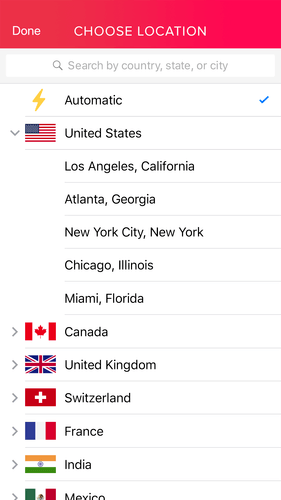 Tap on the country, then the city that you'd like to would like to connect to. Note: If you don't have a specific need to choose a specific location, we highly recommend choosing the "Automatic" option. That's it, you're connected to your desired location.